What is a SERM, and why should you care? SERM is an acronym for Selective Estrogen Receptor Modulator and you should care if you don’t want to end up looking like this guy here: Say no to gyno! The ‘gentleman’ in this picture has what is known as Gynecomastia which is the development of breast tissue in males. Gynecomastia from estrogen is generally caused by either a hormonal imbalance where a man has too much estrogen in his system, or because a man has a particularly high number of estrogen receptors in their chest region. 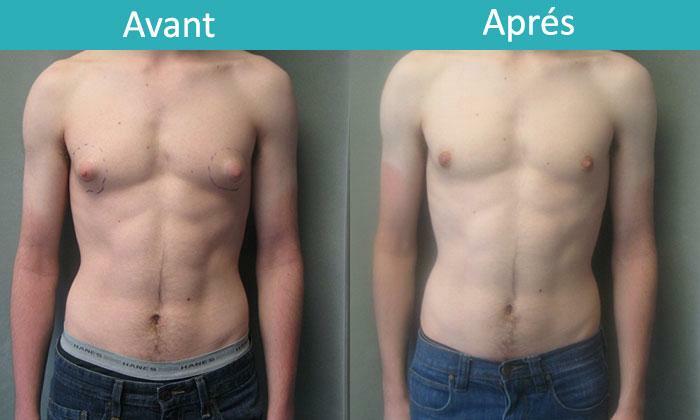 After Gynecomastia has begun the only way to eliminate the breast tissue is via surgery. But, why would a man have estrogen in their system? There are several reasons a man could have elevated levels of estrogen in their system. One reason is because Testosterone actually converts to estrogen via a natural process called aromatization. So the more testosterone you have in your system the more estrogen you will have in your system. Whether that testosterone comes from natural sources or synthetic testosterone it will turn in to estrogen if left unchecked. There are several compounds that can help you win the fight against estrogen effects. Two classes of chemicals that fight estrogen are Aromatase Inhibitors which actually block the conversion of Testosterone in to Estrogen and SERM’s which work by occupying receptors which prevents estrogen from attaching to them and causing you problems. S: Selective, meaning that Nolvadex Selectively acts like Estrogen in some tissue and not in others, meaning that it binds to estrogen receptors specifically in the breast/chest, and not in other areas. E: Estrogen, meaning that it acts like Estrogen and it seeks (Selectively) to bind with estrogen receptors particularly in the breast/chest region. R: Receptor, meaning that Nolvadex’s main mechanism for action is to bind to Receptors. M: Modulator, meaning that Nolvadex modulates or regulates the receptor by occupying it so that real estrogen cannot bind to the estrogen receptor. Now that you understand what a SERM like Nolvadex does it is easy to see its importance in preventing unwanted side effects. It is one of the most effective methods to prevent Gynecomastia and should always be kept readily available when Gynecomastia is a concern.